Uruguayan navy ships on patrol found a whole bunch of dead penguins and alerted environmental agencies. They do not know the cause of death yet, but they do suspect something called Ferox, which does not sound friendly. 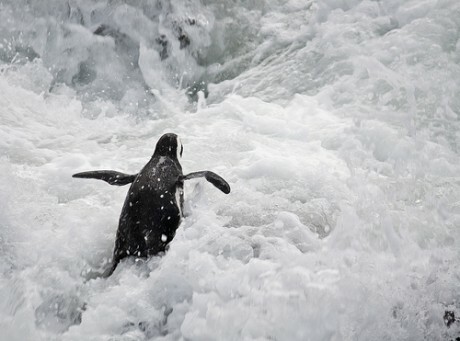 “According to a statement from the Uruguay navy, officers on a routine ocean patrol came “across a large number of dead penguins” and alerted environmental authorities. Officials are now attempting to “establish whether the cause of death is due to a sudden change of temperature” from a toxic substance called Ferox, that was recently found in coastal waters on the Atlantic coast, the navy said. I think we should all take a few minutes to thank Batman for thwarting The Penguin’s evil plot.